Welcome to Gracious Street Methodist Church. We are an active and friendly family church at the heart of the Knaresborough community. Our Sunday services are at 10:00 a.m. and 6:30 p.m. and a warm welcome will await you. 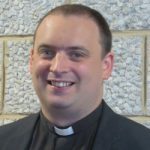 Come to our free district gathering from the evening of Fri 18th October until lunchtime on Sunday 20th October at Scarborough Spa. 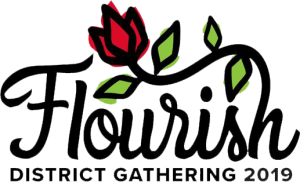 Flourish has been designed to inspire and encourage local ministry and mission, developing the District Vision of growing 'Flourishing Missional Communities. To see the trailer video, programme and to book your place click here. It will be based at Gracious Street Methodist Church and will run for three mornings from 10.00am to 12.30pm on Wednesday, 24th, Thursday, 25th and Friday, 26th April. The cost is £5 per child, which covers all three mornings. We are looking forward to a fast moving programme of games, crafts, music and Bible stories based around our Lego set! All children in primary education are very welcome to join us. Easter Club is always very popular and numbers are limited, so please book early.